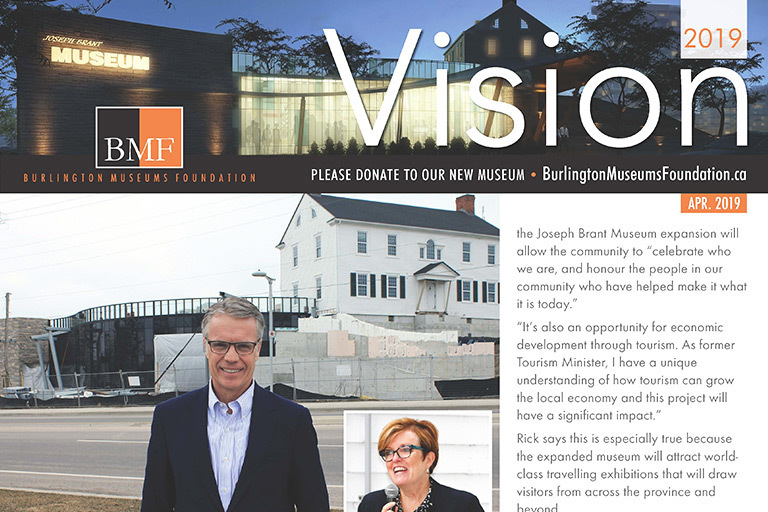 Rick Goldring helped bring the long-awaited Joseph Brant Museum expansion project to fruition during his eight-year term as Mayor of Burlington. 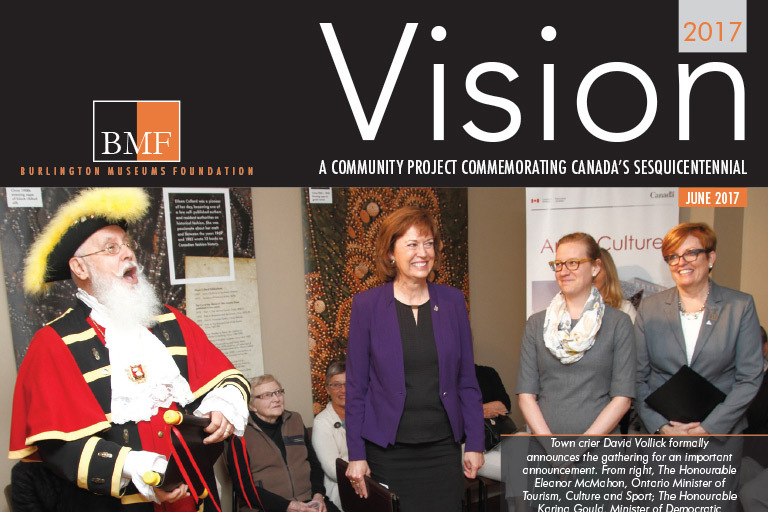 Eleanor McMahon, former Tourism Minister and Liberal MPP for Burlington, was instrumental in securing the provincial funding that enabled the project to move forward as a partnership between all three levels of government and the local community. Sign up here to receive a copy. 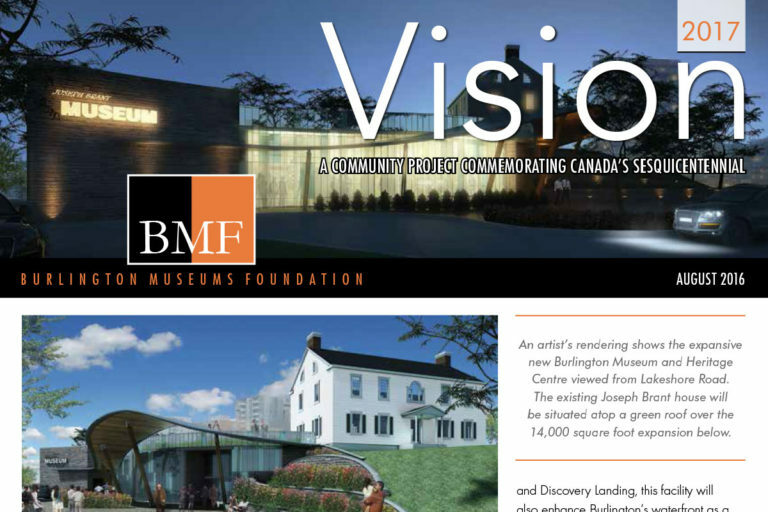 Burlington Museums Foundation Chair John Doyle has been busy reaching out to community groups throughout Burlington as the Foundation seeks to raise the final $700,000 for its commitment to the $11.4-million Joseph Brant Museum expansion. 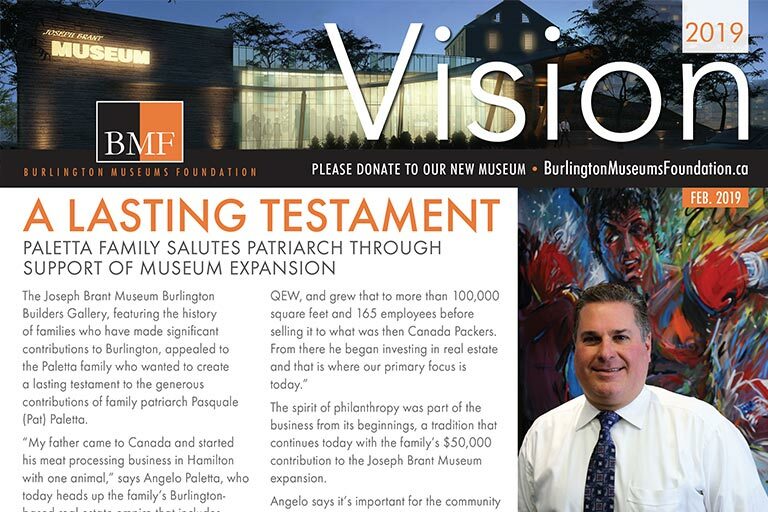 His message that the museum expansion truly is a game-changer for Burlington was highlighted in his October presentation to the Burlington Chamber of Commerce Business After 5 event in partnership with the Art Gallery of Burlington. “Through the renovation and expansion that is well underway, we will create a major waterfront and cultural destination for our community and the entire region. The intent is not just to add space but to change the role and purpose of that facility. On October 5, the Brant House was rotated and is now ready to be placed on the new foundation. Located inside the Brant House, the Burlington Builders Gallery will bring to life the stories of our community builders. As a Board member, Geoff has been involved in efforts to raise funds and friends for the Joseph Brant Museum expansion project. 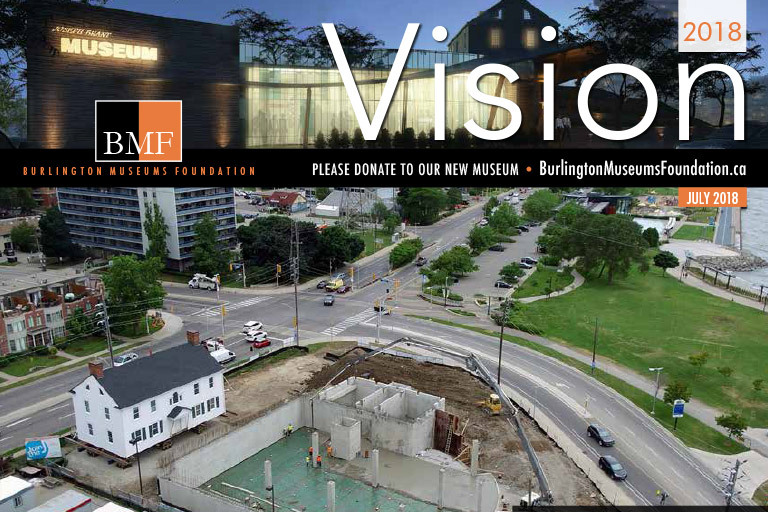 Please visit the Burlington Museums Foundation YouTube Channel to see interview with Geoff Hogarth. 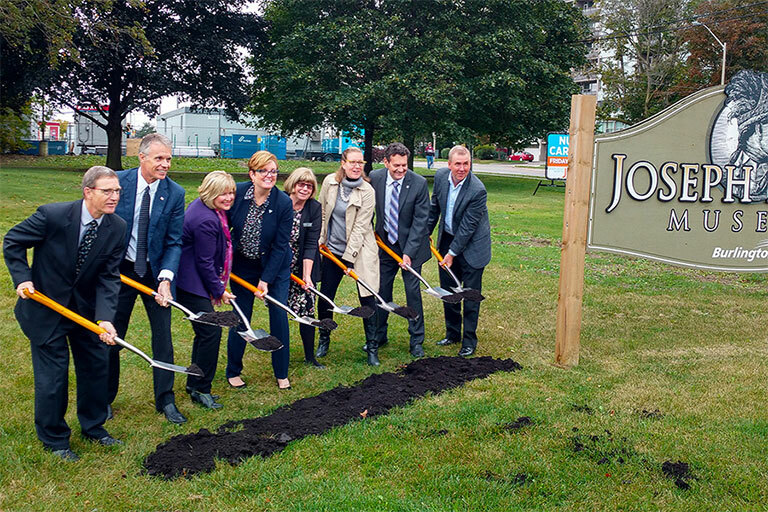 The Joseph Brant Museum expansion project is on schedule and on budget, with everyone very excited to see this impressive new facility taking shape. And with the arrival of Fall our fundraising campaign is shifting into high gear with an objective of completing 150 visits to community leaders as we strive to raise the ﬁnal $800,000 by year’s end toward our $2.5 million contribution to the $11.4-million project. 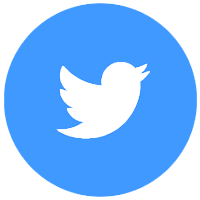 Please welcome our calls – we are working to raise funds as well as friends for the new museum. If you can’t contribute ﬁnancially, there are other ways you can help us reach out into the community to bring more people to the museum when it is unveiled in the summer of 2019. Our dream of a revitalized and greatly expanded Joseph Brant Museum is finally taking shape with an opening scheduled for July 2019. However, we still have to meet our commitment to raise $2.5 Million toward the $11.4 Million project. 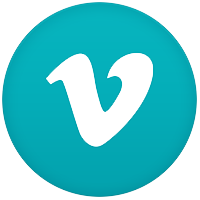 We now need community help to raise the final $800,000. 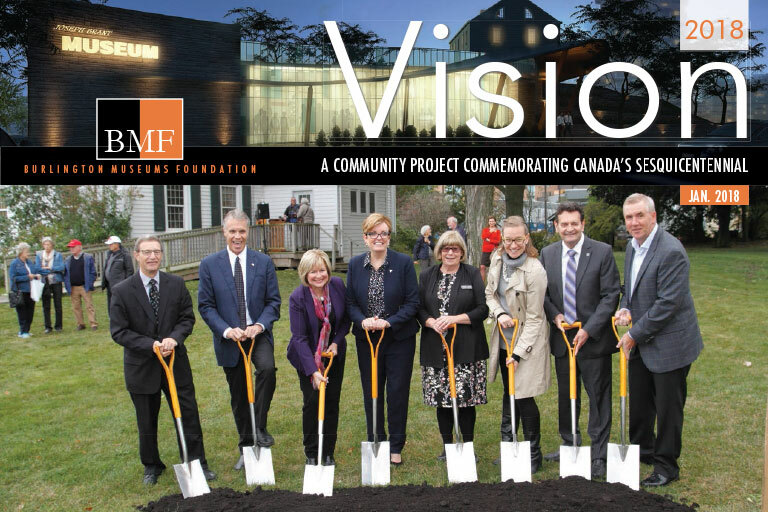 To date, much of this support has come from prominent families like Dan Lawrie, Ireland and Don and Wendy Smith of Smith’s Funeral Homes, our Community Builders who will be featured in the new Burlington Builders Gallery. In this edition, read why Don and Wendy Smith believe ‘our project is good for the community, Ontario and Canada’ and the Mayor’s Millennial Advisory Committee insights for engaging the future generation. 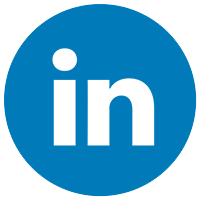 Guest Speakers from Burlington Mayor’s Millennial Advisory Committee – Mark McGuire, Sille Mikkelsen-McGuire, Darcy Oberding. 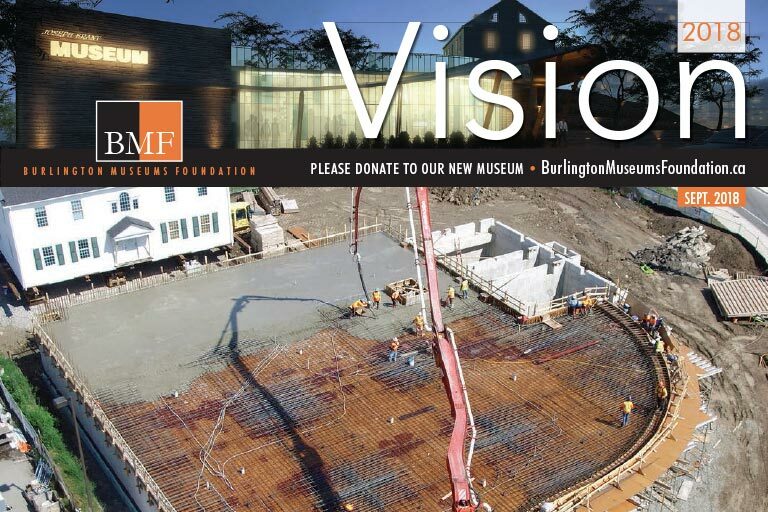 Discover more about the Burlington Museums Foundation expansion as the fundraising shifts into gear, long-awaited construction begins and read why community leader, Dan Lawrie, urges support as the ‘museum expansion will be good for business’. Burlington, Ont. – Oct. 13, 2017 – A group of First Nations’ dancers led the celebration today as three levels of government broke ground for the construction to transform Joseph Brant Museum. The current Joseph Brant Museum is a 1937 replica of the house Mohawk native Joseph Brant, Thayendanegea, built on a 1798 Crown land grant. A modern addition to the museum will be built into the grassy area under the current museum. The expansion by contractor Aquicon Construction, on behalf of the City of Burlington, will add more than 14,000 sq ft to its current size. 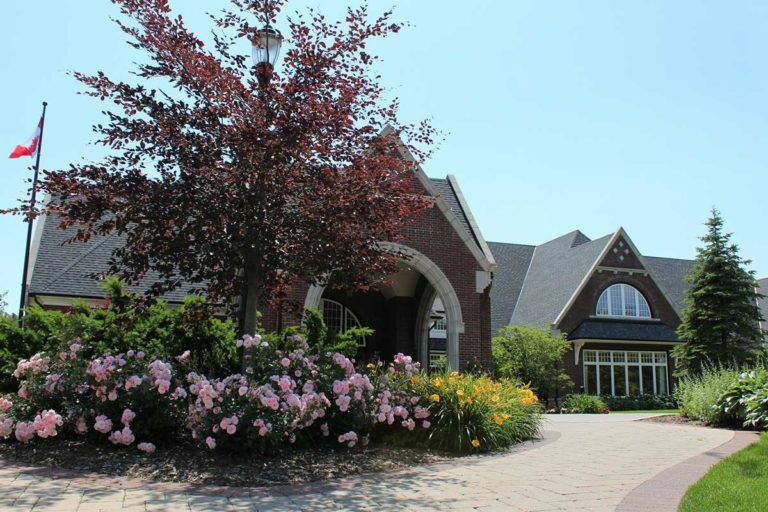 This will allow the Joseph Brant Museum to become a cultural destination and a place to host national exhibitions and the collection of artifacts. 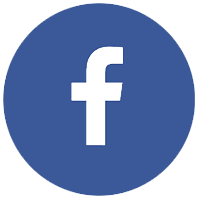 Click here for the official Media Release or you can find out more by reading the CHML Global News story! 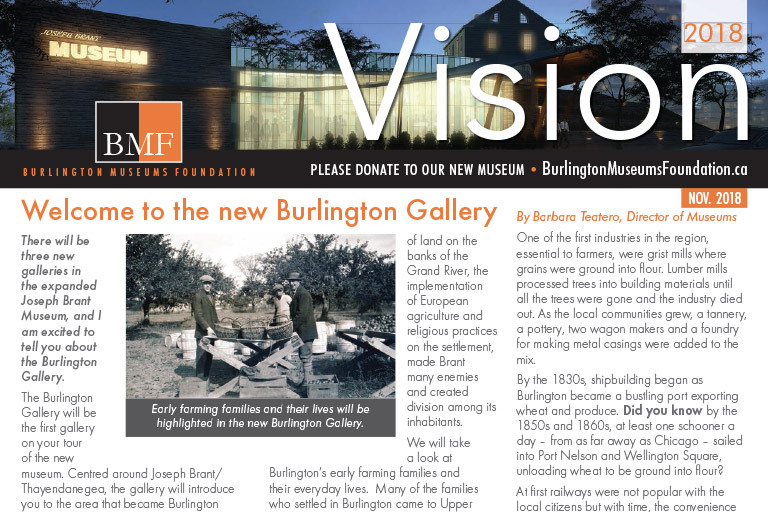 Read more about the Burlington Museums Foundation expansion plans and how you can help in the second edition of our quarterly newsletter. Click here to discover the answers to the Joseph Brant Quiz in our June 2017 Newsletter. 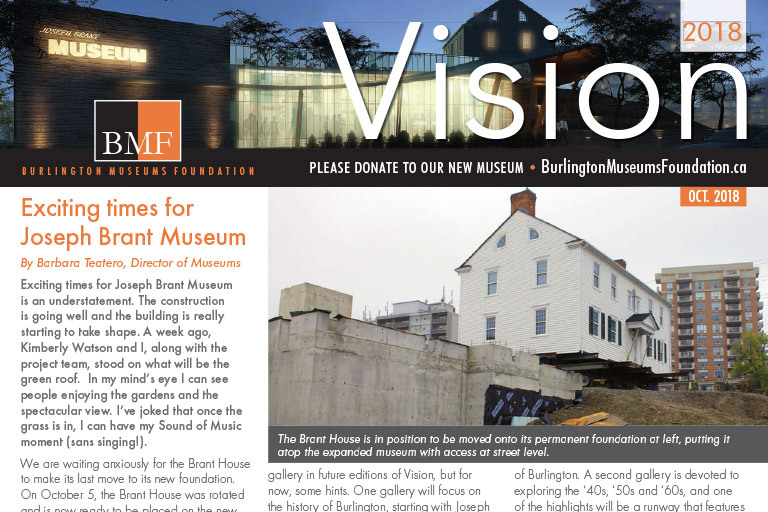 Read more about the Burlington Museums Foundation expansion plans and how you can help in the first edition of our quarterly newsletter. 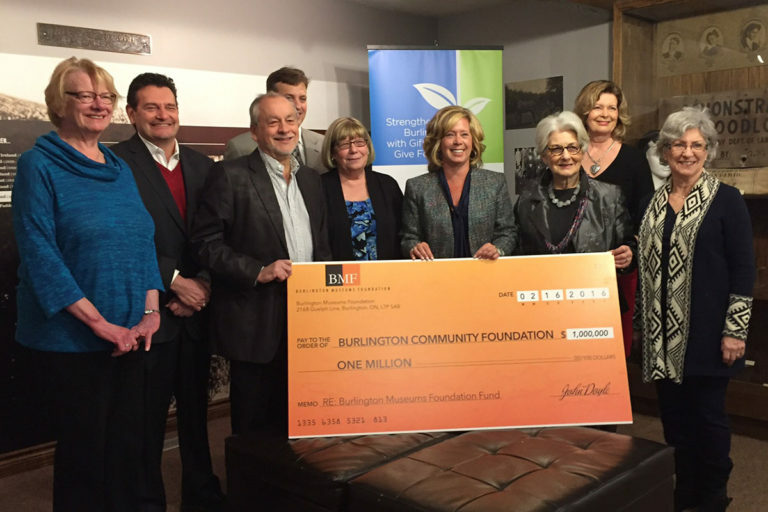 In February 2016, the Burlington Museums Foundation presented a cheque for $1 Million to the Burlington Community Foundation.